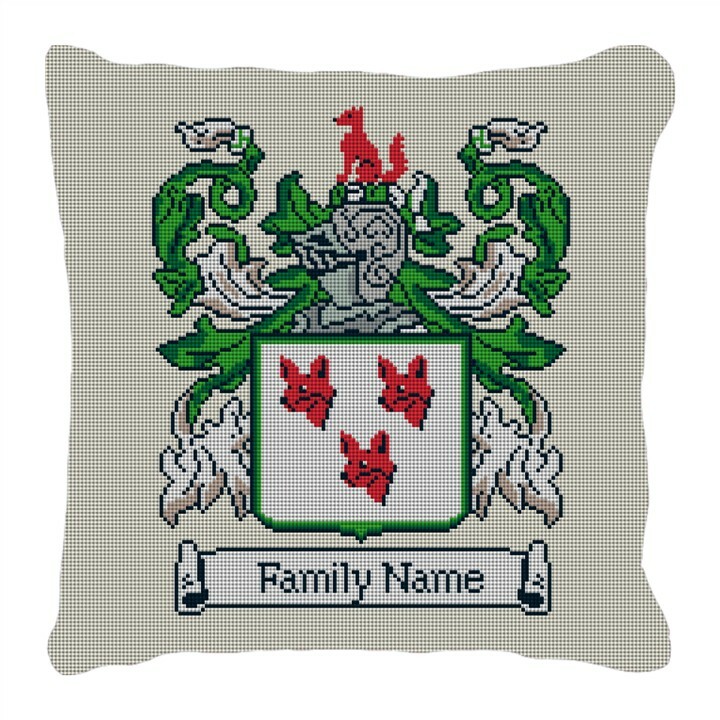 Order your own Custom Family Crest Needlepoint Pillow. We will modify this desgin so the sheild is designed using your family own crest and the colors in the banners will be adjusted to coordiante as well. Also, the animal on the top of the knights helment will be changed to coordiante with the crest. Once the order has been place email your crest to info@needlepaint.com or if you are unsure of your crest, you can email us the last name and we'll do the research for you.